It's the year of the Pig--Peppa Pig, that is! When Madame Gazelle tells the children it's time to celebrate Chinese New Year, they couldn't be more excited. 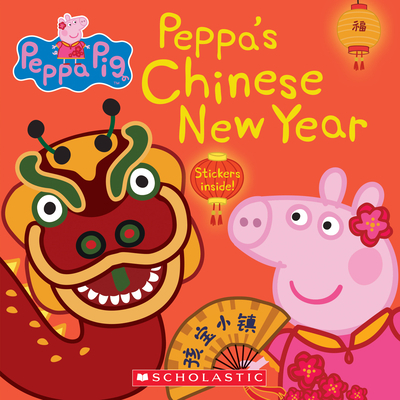 Peppa and her friends hang lanterns, eat fortune cookies, and put on a dragon dance! This beautiful 8x8 comes with a sheet of stickers. There's also a sheet of fun facts in the back about Chinese New Year. Based on the hit TV show on Nick Jr.